Cart abandonment is a huge issue for all online retailers, with research highlighting that more than 75% of shoppers leave websites without completing the purchase. Companies like Puma attract thousands of online visitors every day, so this means a massive amount of potential revenue is left on the table. 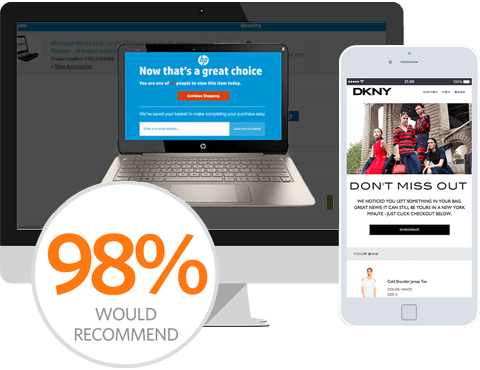 Wanting to reconnect with their hottest of prospects, Puma approached SaleCycle to set up an intelligent cart abandonment email campaign – allowing customers to finish what they started. One of the keys to curbing cart abandonment is the sending of timely and relevant content to abandoning visitors. As one of the world’s leading sports brands, Puma has thousands of customers across the globe daily. 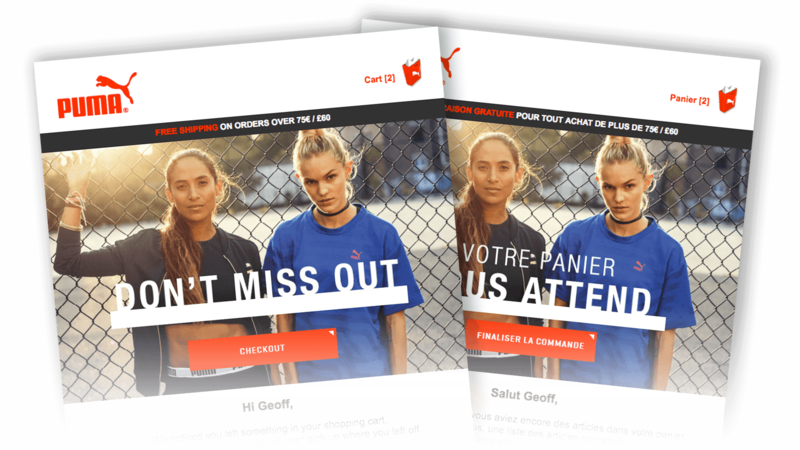 By implementing an intelligent cart abandonment email campaign, Puma were able to send timely and relevant emails to its abandoned prospects – no matter their location. Segmented by region, Puma send innovative and stylish emails – complete with the abandoned items, making it as easy as possible for the customer to return to their purchase. SaleCycle’s partnership with Puma has been a real success, not only has it increased their online revenues, it’s also helped improve the overall customer experience online. The multi-cycle emails have been highly effective, boasting email open rates of over 44%, and a 13% click rate. Puma’s AOV from recovered sales is almost double that of their direct sales. Boasting an AOV of over £160, this clearly highlights the importance and value of the cart abandonment emails, encouraging customers to purchase more. We are enthusiastic about creating an optimised customer engagement strategy. The SaleCycle cart abandonment program allows us to send timely and relevant emails across multiple locations and languages ensuring a streamlined experience.